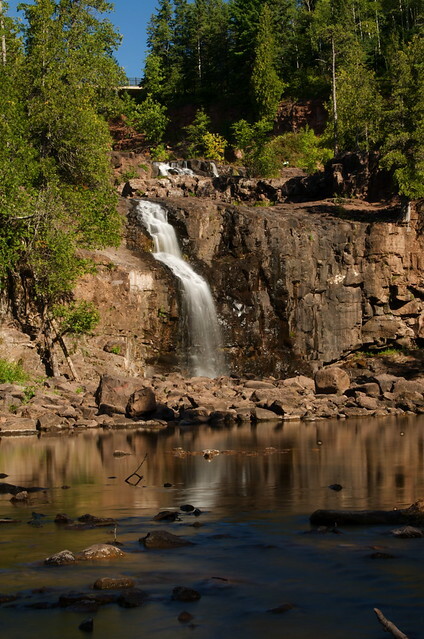 After a fun-filled holiday weekend party with a bunch of friends in da north woods, Reena and I opted to take an extra day and head over to Lake Superior on the Minnesota North Shore. We were already camping, so setting up another night was a snap. 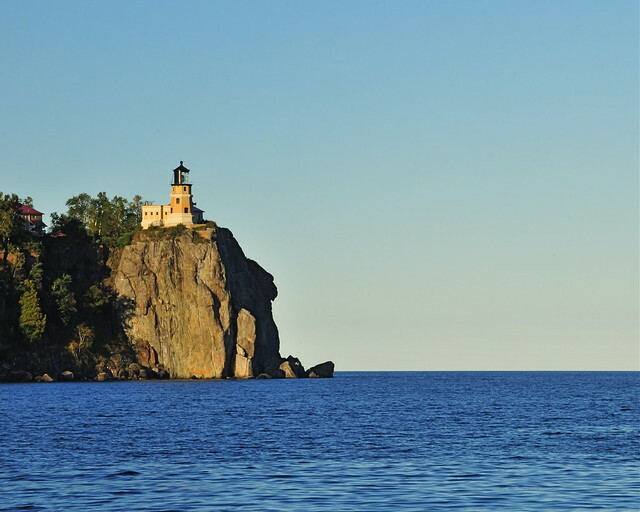 We stayed at Split Rock Lighthouse campground. The temperature was pretty chilly, only fifty-six degrees (F) when we arrived late in the afternoon. 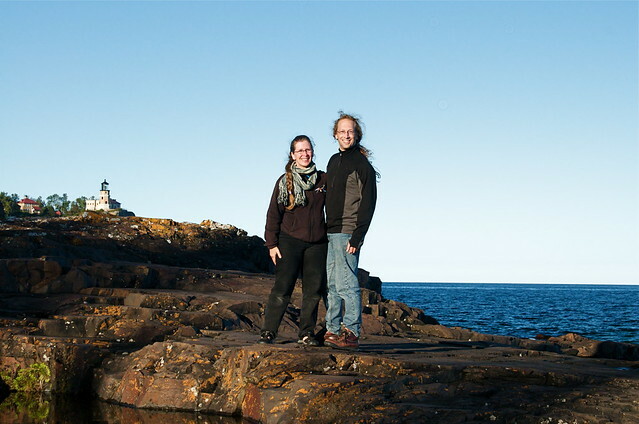 After rapidly setting camp, we hiked down to the water to catch the evening sun on the small island (accessible on foot at low tide) and the lighthouse. Since Lake Superior is one of our favorite spots, we had Mr. Camera take our photo with the assistance of Mr. Tripod. As we explored the small island and shore line, the light faded into that glorious 'Golden Hour' and I got shots of the lighthouse that made me smile. The following morning I got up just a bit after sunrise (bad photographer! No pink sunrise photos for you!) and dashed off to the water once again. This time the light position made the shot I wanted a bit harder. My final result is a composite image of three different exposures layered together in Photoshop. By the time I was done with those early shots and got back to camp, Reena was up and had some of the re-packing done. Sweet! I made coffee and we dined on a gourmet breakfast of hard-boiled eggs and pretzels (sort of like toast, right..?). Piling into the car, we visited the lighthouse (too early to be open, so we only looked around outside) then headed south to Gooseberry Falls. Apparently we were still ahead of the other tourists because we had the place to ourselves long enough for me to get every photo I wanted. The water level was quite low so the often raging falls were a comparative trickle. Pretty enough though. By the time we were done at the falls it was time to make the long slog south back to home. It is just about 6.5 hours from where we were, and we both had evening rehearsals to get to. Here is a link to a SLIDE SHOW of more pics from our Lake Superior overnight in more-or-less chronological order. Enjoy!